One further function is the automatic acquisition of cross-profiles with integrated accounting according to Elling or ÖNorm. 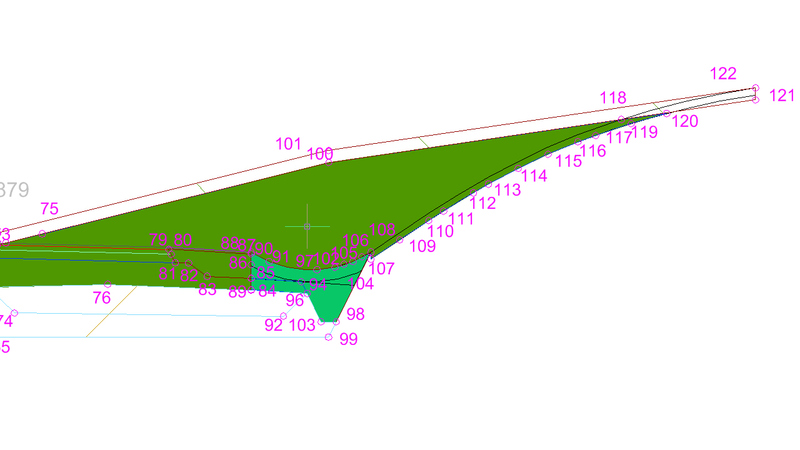 It is possible to comprehend quickly an accounting from cross-profiles, which are only graphically existent in the CAD. The settlement clerk receives a plan with drawn profiles. The compiler records the profiles after the definition of a conversion table. A frame at the cursor allows for the exact acquisition of single profiles. 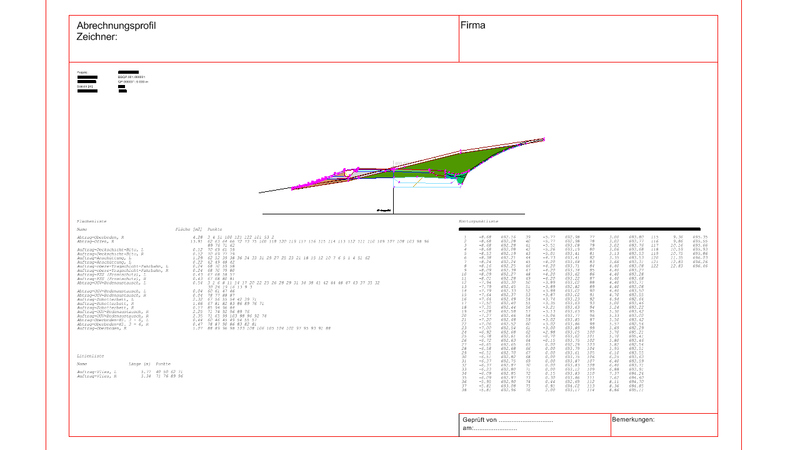 The software converts automatically all surfaces, compiles contour points around the single horizons, generates a map frame in DIN A4 or DIN A3 and inscribes the profiles with all necessary lists (e.g. with surface lists with m²-specifications, contour point lists with coordinates and numbers as well as with project names and with data of the compiler). 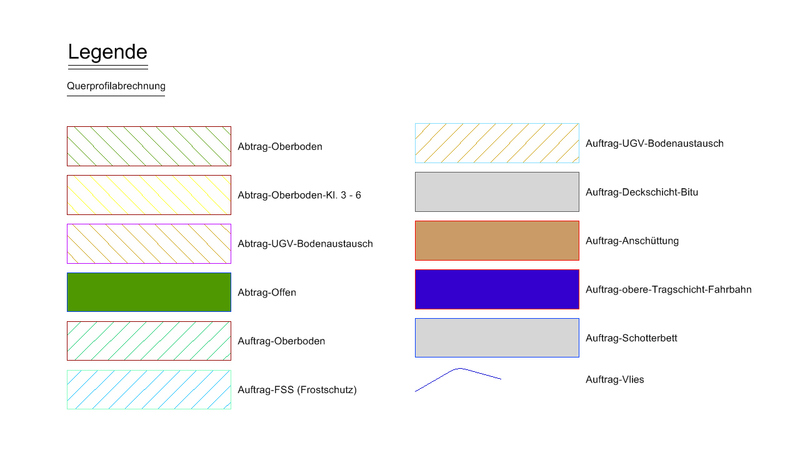 After the acquisition all levels and cross-profile components appear ordered in one editor and can be assigned per 'Drag and Drop' to one position in the bill of quantities. Special filter functions allow the ordering of the horizons according to station and cross-profile component or according to material or rather levels. The accounting occurs over a report generator. As an option accountings are available sorted by project and material, by material or by number of cross-profiles. An automatic calibration of the units and checking routines draw attention to different units between the bill of quantities and the recorded CAD-objects. A volume calculation can occur through an extension of the features (by the indication of a level thickness). An automatic plot function sends all profiles to the favoured plotter and centers the profiles on one sheet. The profiles can individually be saved and sent as an PDF. 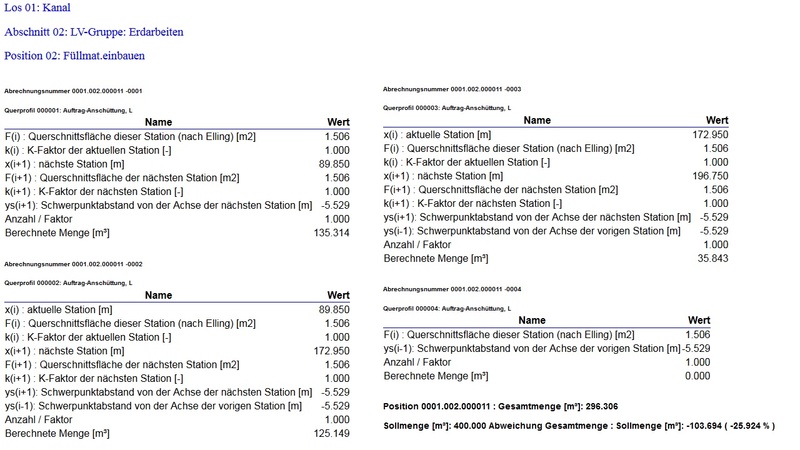 An export of the difference data in REB DA 11 as well as in ÖNorm B2114 and B2114 XML is possible too.